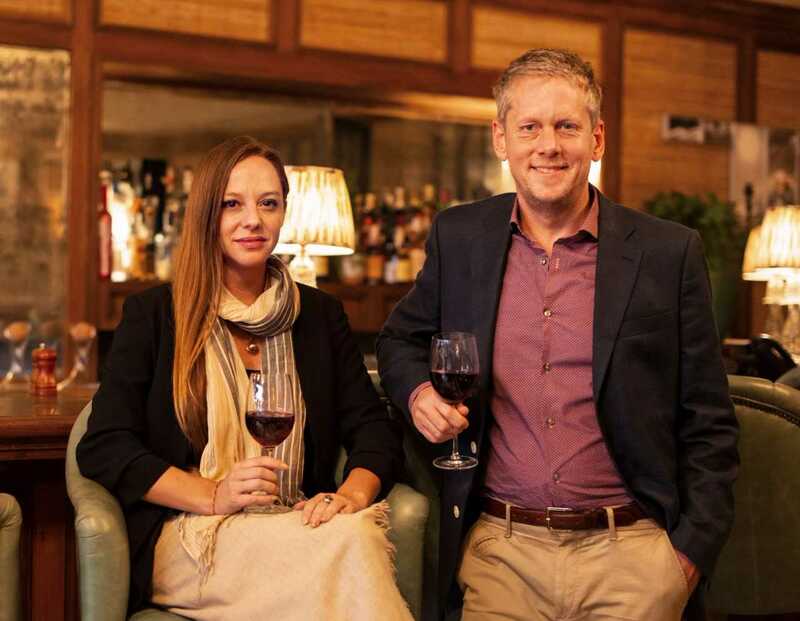 Cecilia Oldne, one of the Indian wine industry’s best known people and respected Sommeliers has joined hands with London based Fine Wine Investment firm Amphora Portfolio Management taking Liquid Luxury to the next level in India! Amphora, which was set up in London in 2009 builds, manages and stores bespoke fine wine portfolios for collectors, investors and wine enthusiasts. What is fine wine? Fine wines are defined as those which improve in the bottle with age. The most desirable and expensive of these are produced in extremely limited quantities and get rarer over time. Each bottle of Chateau Latour 2005 for instance, once opened and drunk can obviously never be replaced. Diminishing supply is what makes Fine Wine Investment unique! Fine wine take ten years or more even to reach their drinkable window. They then get better and better for decades, all the time becoming more and more desirable! David Jackson, the brainchild behind Amphora, identified an unprecedented opportunity for wine investors in late 2008 following this credit-crunch driven market correction. Amphora has been operating in India since 2014. The heady combination of double-digit returns from a physical, tangible asset coupled with the safe and discreet nature of wine investment evidently made Amphora’s proposition very attractive to Indian investors. India is about to overtake China as Amphora's biggest market outside the UK. “For me, India is far more than simply commercial success. These last four years have been a total joy and an incredible adventure. My clients in India have all, without exception; become personal friends, and I have had the privilege of exploring the far corners of this fascinating country. It is for these reasons that I have clocked up more than 30 Indian stamps in my passport in the last 4 years! I have known Cecilia professionally for a couple of years now, and am thrilled to bits that one of the best known and most respected wine people in India has agreed to join our team. Having Cecilia "on the ground" is a very demonstrative statement of Amphora's commitment to its India business and clients” says, David Jackson, CEO Amphora Portfolio Management. “India is learning fast when in comes to wines, but not many people know what a great investment commodity this liquid luxury can be too. One of my aims is to educate Indians and wine enthusiasts that wine is not restricted to just the drinking element. Wine investors are the key to ensuring a balanced supply of mature wine to the secondary market, and Amphora helps them make the right choices. As wine is consumed, the supply effectively decreases. The imbalance between demand and supply is the main driver of prices. Wine is unique in that the producers cannot increase supply to meet the burgeoning demand from countries like India. It is relatively straightforward for makers of other luxury goods - watches, handbags, even cars – to increase production, but you cannot reproduce a vintage wine! I look forward to raising a glass with our existing and future fine wine investors here in India!” says, Cecilia Oldne, Amphora’s India partner and Ambassador. The demand for fine wine is growing at a frantic rate in Asia, from China to India. The older generation in India favoured beer and whisky, but the younger generation is becoming more and more knowledgeable about wine – it is nothing short of a cultural revolution. The import duty however on fine wine in India is very high and at 160% - not in favor of the fine wine connoisseurs and collectors. Amphora, however, stores its clients wines in London. Storage is critical when it comes to fine wines. Even the best investment-grade wines lose their value if not stored properly. Amphora helps investors make smart decisions by applying quantitative analysis techniques taken from the financial markets. Their head of research, Philip Staveley, was Head of Global Emerging Markets for Deutsche Bank and Merrill Lynch, and today writes a weekly wine investment feature in The Drinks Business magazine. Once an investor puts their money on a portfolio of wine, it is bought on their behalf, registered in their name, and stored in an insured and climate-controlled London warehouse, regulated by HMRC. The Amphora team also arranges the sales of the wines for a profit on behalf of its clients. Amphora estimate the global size of the fine wine market to be approximately 4.5 billion pounds, and long term returns on the benchmark index - the Liv-ex 100 Fine Wine Index, which tracks the value of the 100 most regularly traded investment grade wines – is just under 11%. Amphora’s aim is to generate returns in excess of 15% by way of fully managed portfolios, thereby doubling invested funds in 5 years. The Liv-ex 100 Index is quoted on Thomson-Reuters and Bloomberg. Fine Wine continues to be one of the most secure global investments. Amphora builds, manage and stores bespoke fine wine portfolios for collectors, investors and enthusiasts. No jargon, no nonsense – just jolly good advice from a professional team sporting an enviable wealth of knowledge, talent and experience drawn from the financial markets. Amphora are award winning fine wine specialists and the friendly face of wine investment. An advisory firm that mix business and pleasure!